The LG Nexus 4 (Google Nexus 4) smartphone is making big waves at the moment as the latest pure Google Nexus handset. It became available through the Google Play Store last week and sold out within hours, leaving many people disappointed not to have got their hands on one of the first batches available. The phone is still out of stock but while we’re waiting for Google to replenish supplies we thought we’d roundup some of the reviews and give you a quick idea of some of the early verdicts from those in the know. We have already posted about how it is still not possible to place an order for the Nexus 4 and also how some customers who thought they’d been successful with their early online orders now face a three week wait. At present the Google Play Store does not even give an ordering option with a future shipping date but simply says to check back soon for both the 8GB and 16GB versions. So what has made this smartphone so hugely successful already? Of course one of the major factors is Android 4.2 Jelly Bean as the Nexus 4 is the first phone to release running the latest operating system. Other specs and features that have made the Nexus 4 so in demand are a Qualcomm 1.5GHz quad-core Krait processor, a 4.7-inch True HD IPS display with 318ppi and resolution of 1280 x 768, 2GB of RAM and 8 or 16GB of internal storage (non-expandable, which may be one of its only failings). It also sports an 8-megapixel rear camera with 1080p video capture and the new PhotoSphere feature, plus a 1.3-megapixel front-facing camera. All this along with an unlocked price of Â£239/$299 for the 8GB model or Â£279/Â£349 for the 16GB variant and it should be no surprise that it has become such an instant hit. Next we have the BGR review, which again has a lot of good things to say, especially about the very affordable price. There is some criticism about the camera and the lack of LTE again but the battery is described as “great,” differing here from the Engadget review. The overall verdict from BGR is, “Aside from some very irritating shortcomings, the Nexus 4 is my favorite Android device in the world.” High praise indeed! You can see from the verdicts that most of those in the know point to the lack of LTE support as the main drawback of the Nexus 4, along with some criticism for the camera, battery power and lack of internal storage. However other top-notch specs and the price seem to be more than enough to make up for these flaws and we can only imagine that as soon as the Nexus 4 comes back into stock it will continue to fly off the shelves. In the meantime we’d like to hear your thoughts on the LG Nexus 4. Are you bowled over by the Nexus 4 and can’t wait to get your hands on it? Alternatively maybe the lack of LTE support or low internal storage is a deal breaker for you? Let us know with your comments. 3 weeks couldn’t come fast enough! I don’t get the fuss about lack of LTE on this phone – especially in the UK. The charges and data caps far outweigh any benefit and unless you live in one of the major UK cities you won’t get the signal anyway. There’s massive areas of the UK that still don’t even get a 3G signal. I for one will continue to hit refresh until the “back in stock” button appears. Will this likely be sold out straight away again, once the new stocks are in? With most ending up in online auctions. Google have really messed up this release and let people down. I was going to buy one but like most people by the time I got on the Play site they were already sold out with no real info about when they are going to be back in stock. Even now there is so little info coming from Google that i have no idea if i’ll get one in time for Christmas. So i’m going to buy something else that I know what the stock/shipping situation is. I haven’t ordered one yet, but tried one in T mobile store the other day. It is noticeably better than the S3. The screen is flawless, the interface really does flow like butter, and Android 4.2 is simply gorgeous. It looks great and the build quality, while a little slippery, is decent enough. Photosphere is cool but the camera was dissapointing, and took pics not as good as htc one s. HSPA+ was fast enough since I had never used LTE, but others might feel differently. For the insane price, this thing is truly a steal. Many of the reviews / users complaining about the lack of LTE are American, where the lack _is_ relevent. I’ve live by the coast in the UK so the lack of LTE/4G in the Nexus 4 is irrelevant as, like a previous post, I can’t even get a 3G signal. 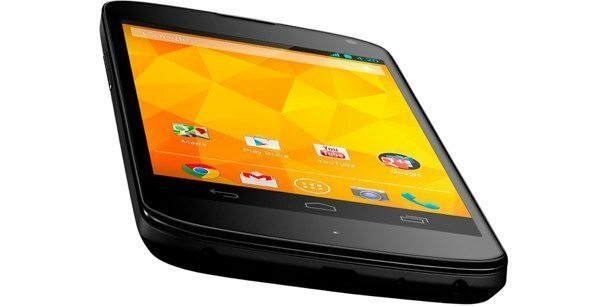 So until 4G tarrifs come down and the coverage goes up (which will be years – not months) the Nexus 4 will be on my Santa list. Regards the concern around the battery life I am not too bothered. If I expect to be out of the office with no capability of charging then I will buy a mobile battery extender to charge the phone in my briefcase job done, as they are cheap and small. The other benefits and spec’s outweigh what is almost business as usual re- charging a large display device every 10 hours or so. But hey I am not using the device as a plaything so expect to realistically only need 1-2 hours use a day. I will be in the queue as soon as it comes back in the PlayStore its a no brainer. Also regards LTE not a problem 3G is fast enough if you can get it. Plus all the SIM only contracts only have 3G. LTE no big deal. In regards to battery life, I’d say it’s on par if not better than the iPhone 5 – I’ve used it for about 3 hours solid today, with another 4 hours on standby and still have 46% remaining! I’ve owned every iPhone since the 3G. I never thought I’d own an Android Device…. yet here I am, loving the Nexus 4 – I don’t think I can go back…. Welcome to Android. You made the switch at the right time. Android 4.2 is the most polished version yet. I encourage all iPhone users to give it a try. My experience with non Nexus devices have been terrible. The Galaxy Nexus really changed it for me. I can never go back to iOS. I got one. It is clearly the best Android phone to date. I know it’s a new phone. New phones are supposed to be great so it was everything I had expected and more. You don’t need LTE. HSPA+42 rivals LTE. Wondering if I should eBay or CL this thing? I can always go back to my GNex for a few months. I think this was advertising trick, although, you can’t say false advertising . this isn’t some things to expect from a company like Google. I had Nexus one and very pleased with it but, nexus one lost in the US market I don’t know why.but they were honest about it. $ 350 is BOGUS ” if you want right price go to E bey and you may pay over $ 600 for immediate shipping.